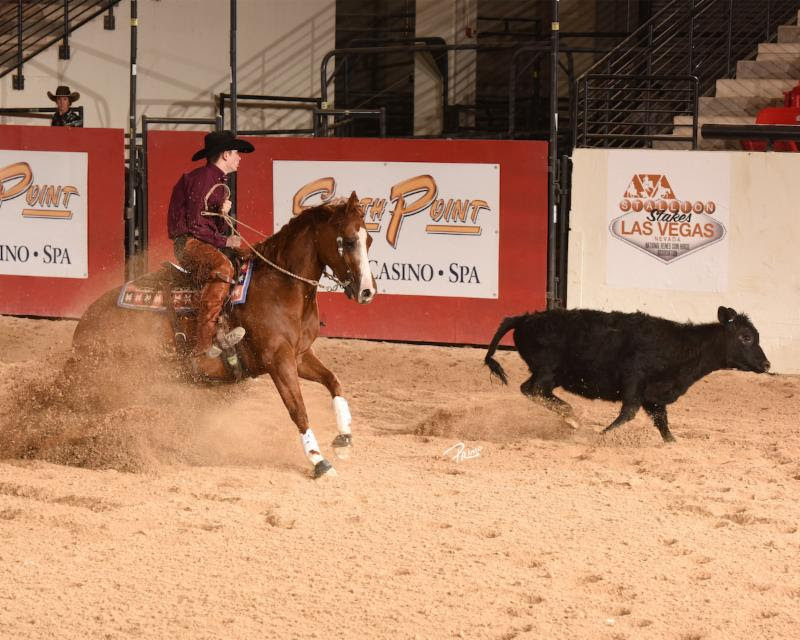 Oakdale, California professional Clayton Edsall qualified four horses for the 2018 NRCHA Stallion Stakes Open and Intermediate Open Finals, and won the Championship in both divisions riding Metallic Train (Metallic Cat x Sparking Train x Shining Spark), owned by Beverly Vaughn of Durango, Colorado, and bred by Gardiner Quarter Horses, of Ashland, Kansas. 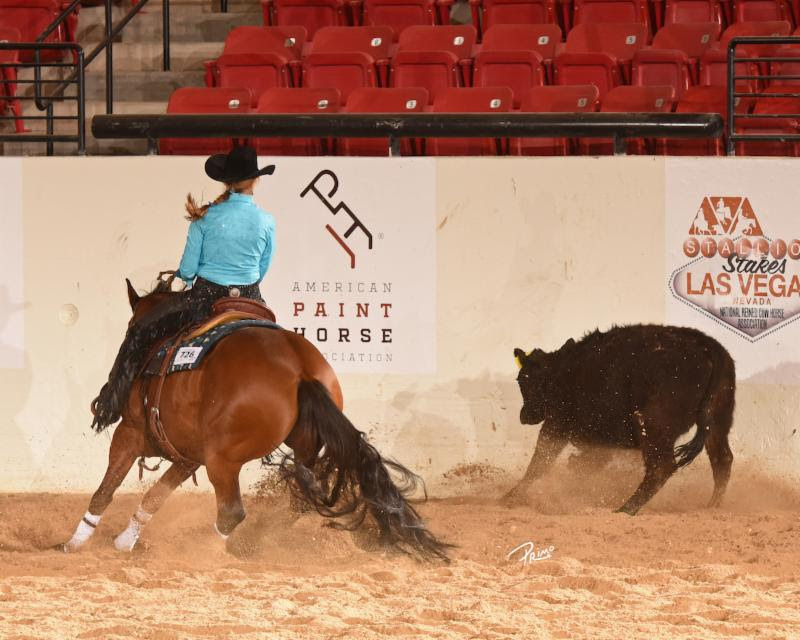 The Stakes Non Pro Champion was Tammy Jo Hays, of Nocona, Texas, who guided Metallic Sparks (Metallic Cat x Shine Smartly x Shining Spark) to the title. Margie Zimmer, of Murietta, California, won the $1,000 Non Pro Limited Championship on Saturday, March 31, besting a big field of 27 riders. Riding Very Smart Rico (Very Smart Remedy x Lil Yoti From Rio x Coyote Quixote), Zimmer scored a 288.5 (142 rein/146.5 cow) for the title. She also won the Select Non Pro Limited Championship. The Youth Limited Spectacular Champion was Douglas Allan McDaniel, Jr., who rode CR Tuffs Magic Tonic (Woody Be Tuff x Miss Oak Tonic) to a 426.5 composite (141 herd/143.5 rein/ 142 cow). 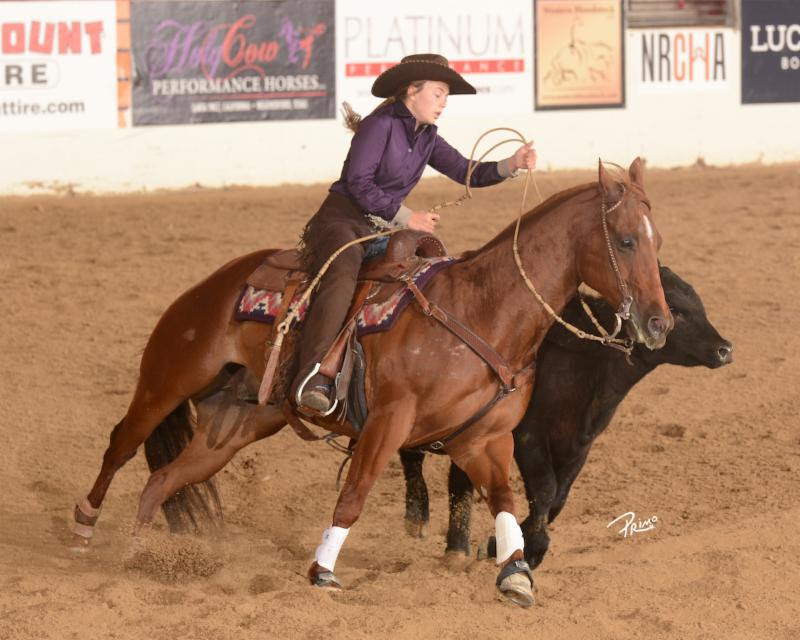 In the Youth Bridle Spectacular, Lannie-Jo Lisac was tops aboard Soulanova (Soula Jule Star x Round Oak Annie), scoring a total 431.5 on three events (144 herd/146.5 rein/141 fence).